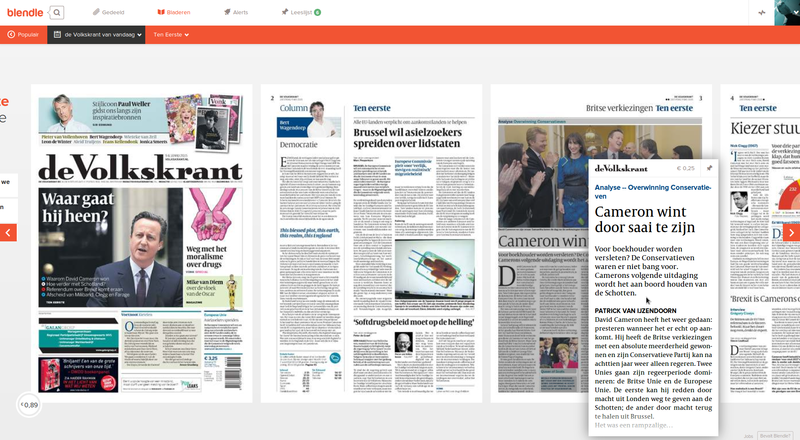 Blendle is a platform to read and pay for articles in all kinds of newspapers and magazines. An "iTunes for journalism": deposit money in your wallet, then pay typically €0.10 to €0.29 cents for newspaper articles, sometimes up to €0.89 for magazines. A story in itself. And with plans to go international. Basically all Dutch newspapers participate (as well as the first few international titles). 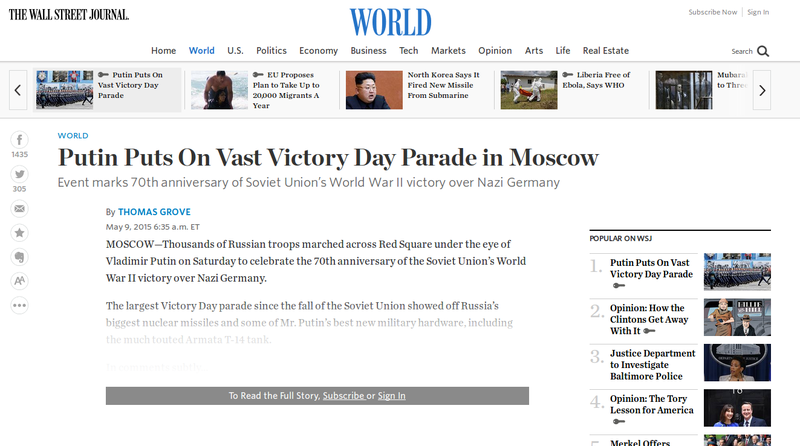 It's easy to browse through a newspaper or magazine edition, often in its original layout. But the newspapers don't really embrace it yet. I often come across articles I'd like to read, but am greeted with a paywall: create an account, get a subscription, blah blah. No link to Blendle, although I can read and pay for the article there. 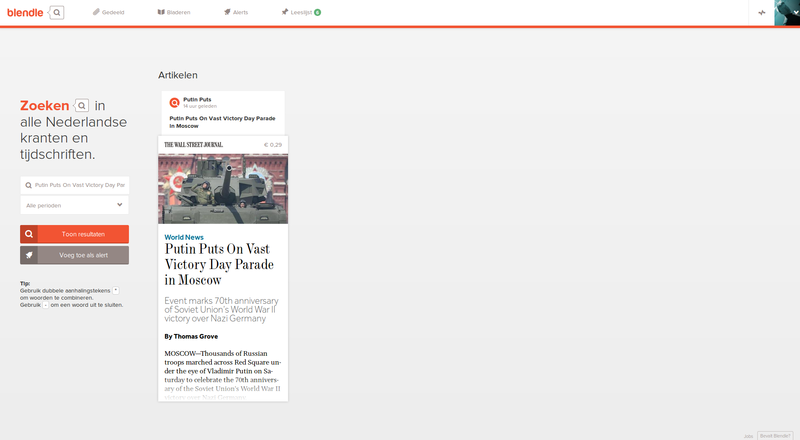 I need to open Blendle, copy for instance the title of the article, and search for it on Blendle. Or find it by browsing their edition in Blendle. Most of the time, that's too much effort. I'll skip the article. 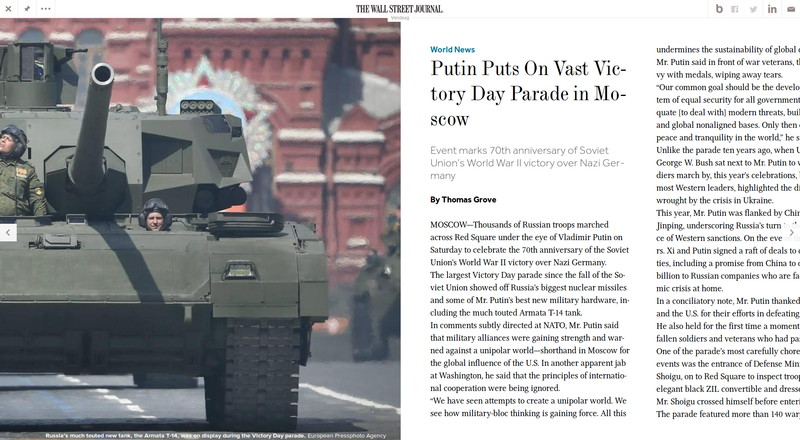 From there, a second click takes me to the article. And to paying for the article. Posted in Tools and tagged Blendle, Bookmarklet, Paywall.